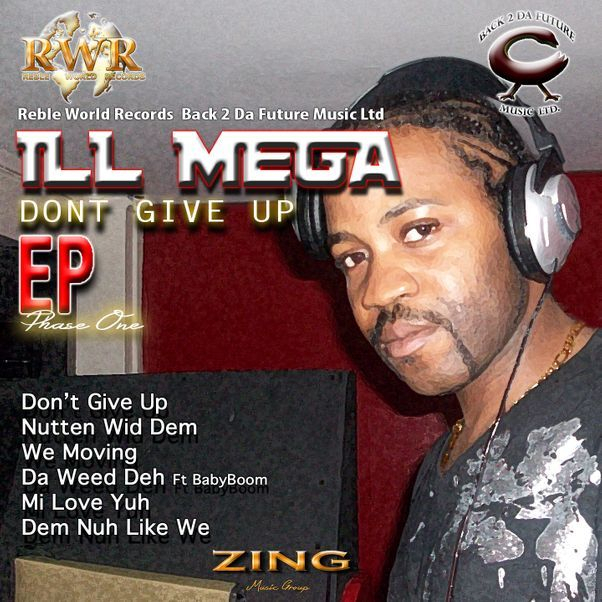 Reble World Records presents Ill Mega " Don't Give Up" Phase One EP and showcase's a superb lyrical bombshell from one of the UK"S finest Upcoming artist. The EP delivers style, versatility and topics which many street wise people can relate to. This EP features his well know track "Don't Give Up" on the Deposit Riddim, a track that encourages many of the youths of today to not give up on their dreams and goals in life. Ill Mega has seen to collaborate with Artist/producer BabyBoom on a track called "Da Weed Deh" talking about the " High grade". This is an explosive collection of Ill Mega's talent as a rising star. Available on all digital platforms.